Opie the Oath Keeper - Tribute Patch. Opie was the last good man in the bunch. I wanted to honor his memory with this faux embroidered memorial patch. 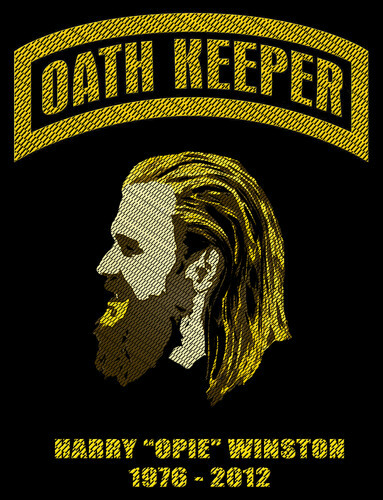 I hope tu like it.. HD Wallpaper and background images in the sons of anarchy club tagged: sons of anarchy opie samcro soa. This sons of anarchy fan art might contain signo, cartel, texto, pizarra, letrero, animado, cómic, manga, historieta, anime, and dibujos animados.